The workshop introduced a new way of uncovering product ideas by starting with edge cases and using that to guide you towards something that can be appealing to a larger audience. Dhaval has a very creative approach to problem solving and his metaphors are always entertaining and insightful. 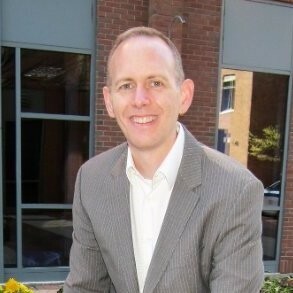 John Miller is one of the leading voices in bringing Agile to education. His work impacts both students and educators and it is incredibly inspiring (check out the links below for more information). In this Agile 2018 interview John gives an update on what's happening with Agile Schools and the effort to bring Scrum into education AND, as a new Certified Scrum Trainer, John offers some tips for those who are on their journey to becoming CSTs. , Esther Derby shares a story about the late Jerry Weinberg, what it takes to create an environment that can support a successful Agile Team, how conditions and constraints impact your teams and her new project to develop online versions of her trainings. In this interview Dean and I discuss how Scaled Agile Framework can be used to support and enable innovation within the enterprise. We also talk about the upcoming SAFe Summit which is taking place in Washington D.C. on October 1-5. The Wednesday Keynote at Agile 2018 was provided by Troy Magennis. Always fun and deeply inspiring, Troy's keynote introduced some ideas that are sure to cause a lot of controversy in the Agile space: having teams twice the recommended size and comparing teams. During this interview Troy and I discuss why data is a people problem and what was behind his suggestion that perhaps teams twice the recommended size would not be a bad thing to try and why comparing one team to another could actually be a good thing. Troy is someone who works very hard at making math more accessible for normal humans. He has also created a repository of tools which are free to use and may help you figure out how to solve many of the issues your team/organization has been dealing with. You can find all of these at http://focusedobjective.com/free-tools-resources/. Larry Maccherone is well known in the Agile space for having conducted the largest study ever on the impact of agile practices in the workspace. While he was at Rally (now part of CA), Larry collected data from over 10,000 teams to determine things like, most effective team size, most effective Sprint length, etc. At Agile 2018, Larry gave a talk called Agile Quantified (Measuring the Impact of Agility). During the talk he explained how the data was gathered, and some of the key learnings. But, in addition to his work on Agile metrics, Larry also has a background with a deep focus on security and in this interview he explains how DevOps and Security work together, how the growth in DevSecOps is SO much bigger than what is happening in Agile and why we all need to be paying more attention to it. Cara Turner came to Agile 2018 all the way from South Africa to help share the story of CodeX and how they are changing the shape of the workforce in South Africa. While it has been over 20 years since the end of Apartheid, there are a number of fields (including IT and Software), where the workforce is still lacking in diversity. A lot of this has to do with the fact that certain communities simply do not have access to the education they'd need to enter and compete in certain fields. CodeX is changing that—and changing the shape of diversity in the workforce. By providing full stack training and career mentorship for those who might not otherwise have access to the training and education needed to get a job working in IT, CodeX is creating new opportunities, building a stronger community, and helping to bring the gift of diversity to the workspace in South Africa. A lot of us build software and tech, but only a few of us actually change the world we live in. Cara Turner and CodeX are definitely doing that. In this podcast interview, which was recorded live at Agile 2018, Johanna Rothman and Mark Kilby offer some tips on how to improve communication in distributed teams. Many of the tips were discovered while writing their new book "From Chaos to Successful Distributed Agile Teams" which they've co-written AS A DISTRIBUTED TEAM. This is a frequent question in the CSPO classes I teach. Many organizations want the benefits of Agile. Sometimes they assign people to the role of Product Owner, and then continue with business as usual. For the role of PO to work effective, you need an individual filling the Product Owner role who is will and able to make decisions, even without all the information they would want to make the decisions. AND they need to be working in an organization that trust them to make those decisions. If you don't have that, if you are in a PO role, but management is handing you products with deadlines and ever changing scope (cause it's agile #sarcasm), then you're in trouble. 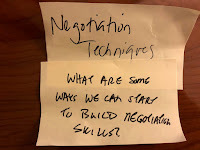 So, how do you get started developing the skill and experience negotiating with stakeholders who may not view you as someone who has the gravitas to negotiate with them. 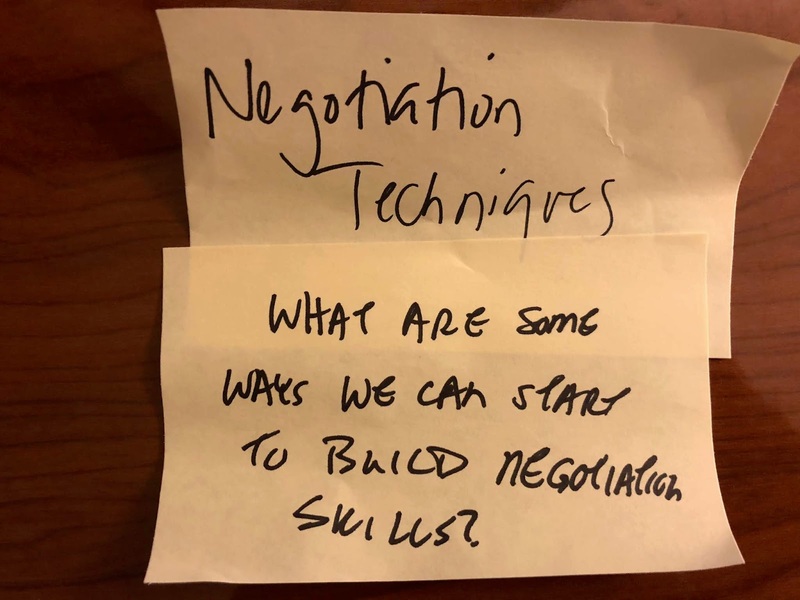 In this episode of drunkenPM radio, Steve Martin joins me to share his strategies and thoughts on how to cope with your need to develop negotiation skills. Steve is the founder of Cottage Street Consulting and you can also find him on LinkedIn.